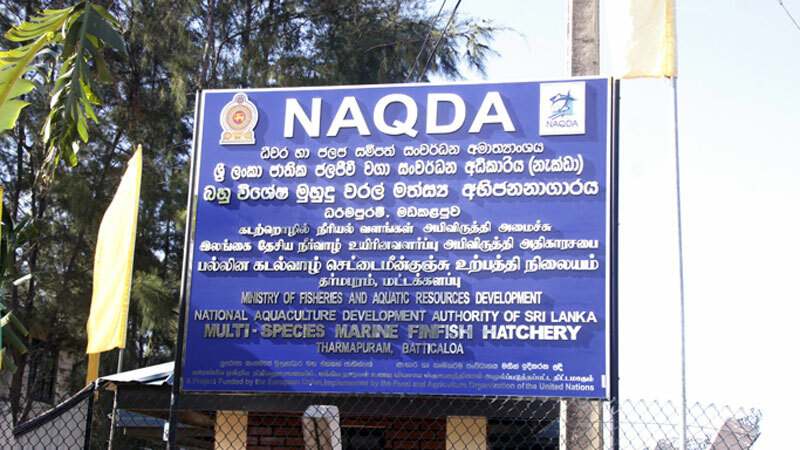 State Minister of Fisheries and Aquatic Resources Development Dilip Wedaarachchi recently pledged to make the fisheries industry in the fisheries sector to earn the third largest foreign exchange earner of the country. According to that the Ministry has decided to appoint an expert committee to get their proposals and ideas to uplift the fisheries industry by solving the issues prevailing in the industry, he said. The State Minister also said that the fisheries industry would be made the third largest foreign exchange earner creating lots of employment opportunities by making the blue economy a reality. Stressing the importance of providing reliefs for small scale fishermen, the State Minister said that they have already proposed the government to provide 50 percent subsidy for boat engines of small scale fishermen. In collaboration with the Housing, Construction and Cultural Affairs Ministry, the Fisheries Ministry is in the process of finding permanent solution for the housing issues face by fisheries community.